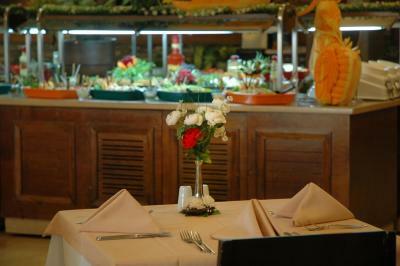 Price is best as is all inclusive which can't be find in such type of hotel Anywhere. Further, the location off the hotel is the best! 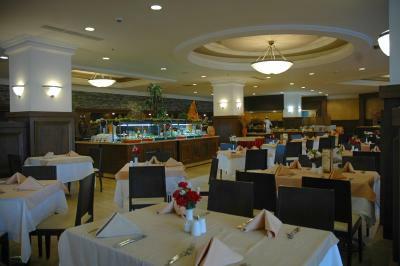 We liked hamam, the hotel's staff was very friendly and helpful, good sound isolation, perfect safe parking.. The rooms were a good size, ( not all rooms have a balcony) Short walk to the beach, hotel does put on a bus but it’s not that far to walk. The animation team are amazing. 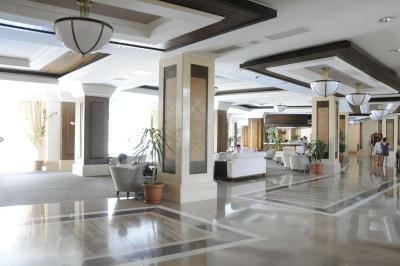 Personell excellent.. reception service team cleaning team excellent... 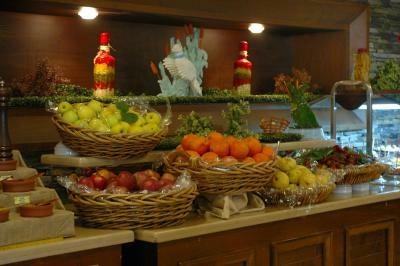 Very very much clean hotel .. rooms lobby always smell very good. 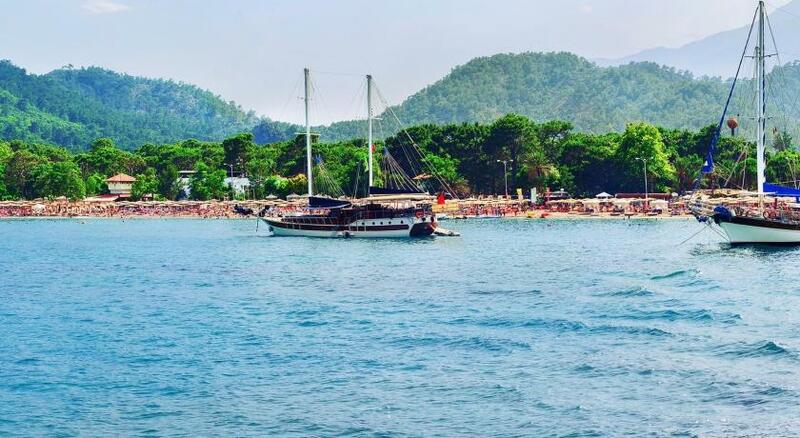 you can not find any garbage on the floor... clening team first class.. 500 600 meter to beach.. but shuttle every 30 minute..beach is also very good..at beach soft drink and sandwich possible.. this is also important. 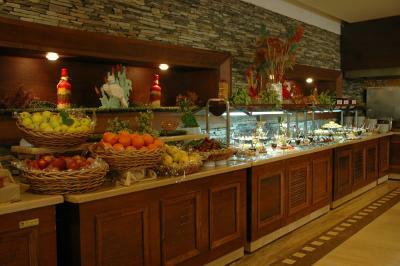 also by walking 7-8 minute.. very silence hotel.. rooms like luxury hotel... big and good designed...patisserie very good .. there is cake ice creams soft drink at patisserie. eating quality normal ... there is much varience eating. 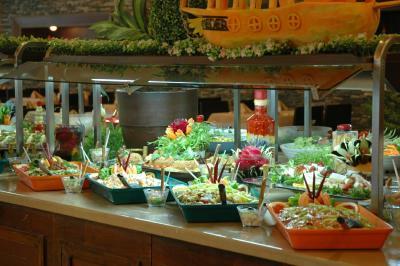 salads excellent.. but for eating something work.. i see they work much much and prepared much variety eating.. but there is something wrong about eating. they must change something maybe oil ??? 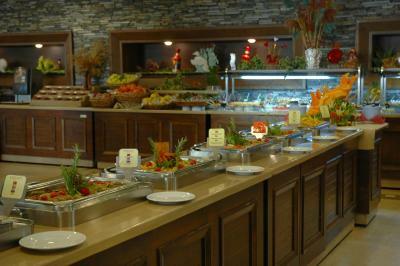 snack bar food also good .. i like gozleme also .. there is much variety eating. 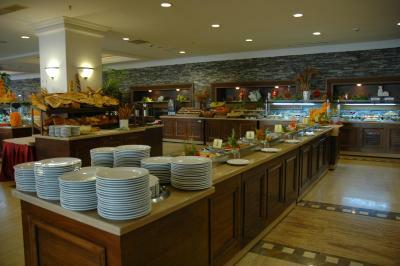 you can not find sometihng suitable for you.. thank you meder hotel i will come again. 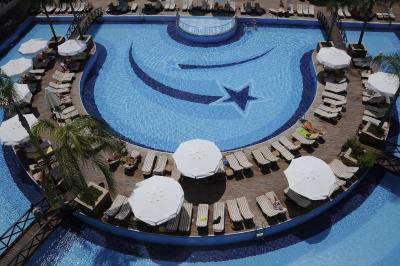 Meder Resort Hotel - Ultra All Inclusive This rating is a reflection of how the property compares to the industry standard when it comes to price, facilities and services available. It's based on a self-evaluation by the property. Use this rating to help choose your stay! 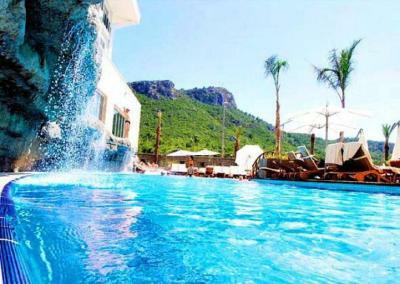 One of our top picks in Kemer.Meder Resort Hotel in Kemer is located 2,650 feet from Mediterranean Sea. 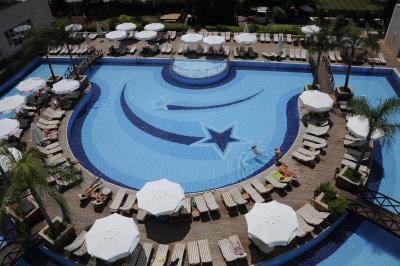 It offers spacious rooms and has a large outdoor pool with a sun-lounger terrace. 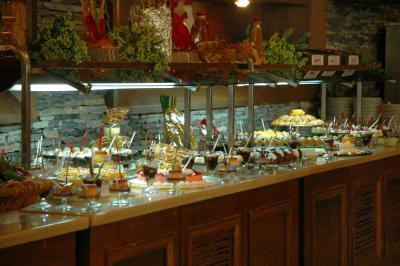 Guests can enjoy the free WiFi at the lobby. 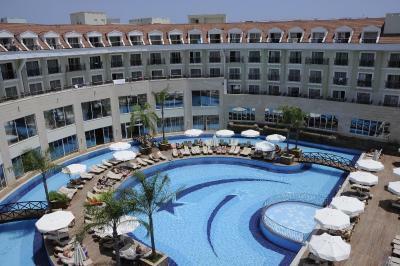 The hotel has a poolside bar and a restaurant that serves Turkish and International cuisine. 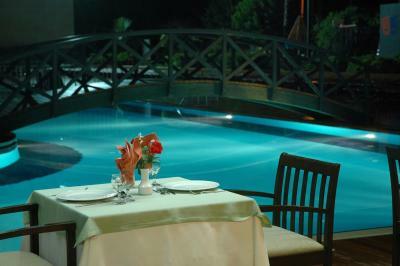 The bars of downtown Kemer are just a short walk from the hotel. 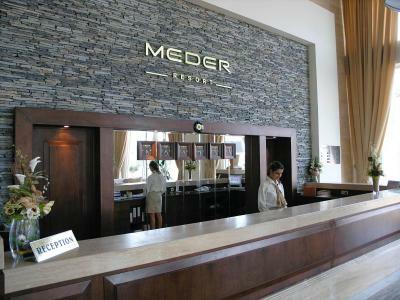 Guests of the Meder Resort Hotel can enjoy a relaxing massage or body treatment. 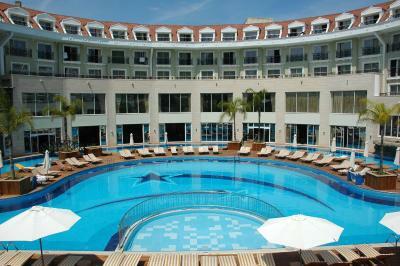 There is also an indoor pool, a fitness center and a games room. 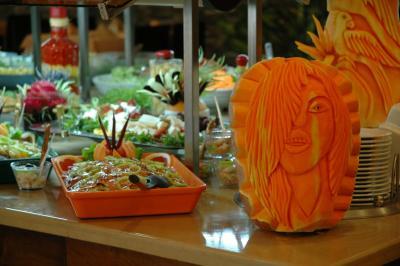 The coastal village Beldibi is a 20-minute drive away, and Meder Resort Hotel is 36 mi from Antalya Airport. Free on-site car parking is available. 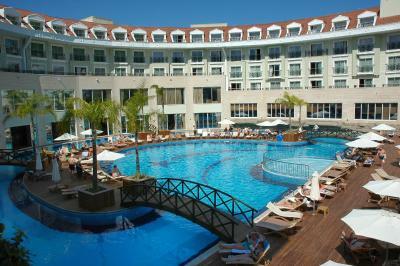 When would you like to stay at Meder Resort Hotel - Ultra All Inclusive? 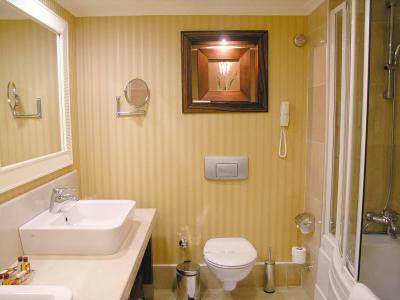 Air-conditioned room with a balcony offers a satellite TV, mini-bar and a hairdryer. 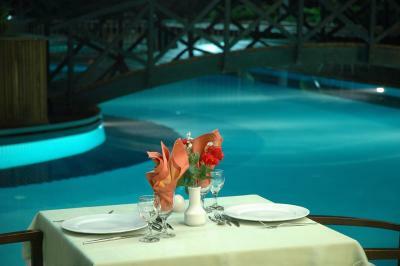 House Rules Meder Resort Hotel - Ultra All Inclusive takes special requests – add in the next step! 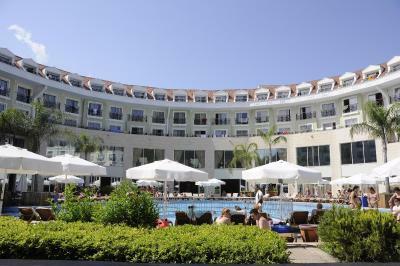 Debit card Meder Resort Hotel - Ultra All Inclusive accepts these cards and reserves the right to temporarily hold an amount prior to arrival. 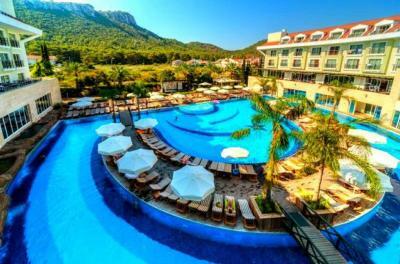 Meder Resort Hotel - Ultra All Inclusive accepts these cards and reserves the right to temporarily hold an amount prior to arrival. 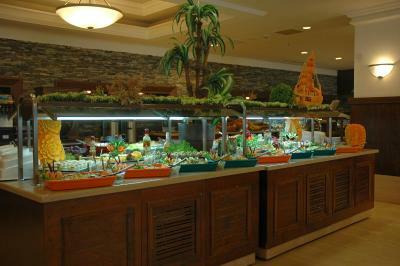 Food was ok, but could have better fish, olives, fruits selection.. Drinks in lobby bar were well diluted. The air conditioning was very poor. It was ultra all inclusive but alcohol didn't taste right, it tasted like it was mixed with water. It was loads of food but we missed some more local flavors. Also it was loads of loud Russian music until 11 pm, it was hard to fall asleep. Wifi was super slow and only working in a loby. Staff was very friendly and helpful. The beach was really close to hotel. Hotel building is really nice and loads of open space. They make you put a deposit for extra room key , they make you put a deposit to give you a key safe , food is awful very low value not even worth the all inclusive. Staff are rude . No WiFi inside the rooms as stated in booking, humidity smell is very irritating. The pool is not so deep, good for beginner swimmers. 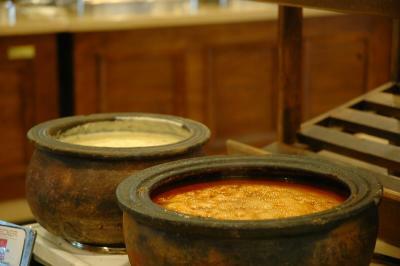 much variety eating .. can be more delicious..if they find reason hotel will be 10 point. Better mini bar in room? There was only water.